CARE International’s Uganda branch has launched a really great initiative which seeks to engage men to be important change-makers in the fight against gender-based violence. The Role Model Men program requires men to be community leaders, encourage other men and boys in this mission, and understand why gender equality is pivotal in the fight against poverty. For those unfamiliar with the work of CARE, they are dedicated to fighting poverty in 94 countries globally, and they see gender equality as fundamental to achieving social justice in this mission. CARE’s experience in Northern Uganda demonstrates that achieving real and lasting progress toward gender equality requires proactive work with men and boys alongside work with women and girls. It is a mandate they share with the UN’s Sustainable Development Goals launched in 2015 which is also designed to eliminate global poverty, places emphasis on gender equality, especially with the increased recognition that financially empowering women and allowing them to work outside the home has the ability to give them an independent and stable future. 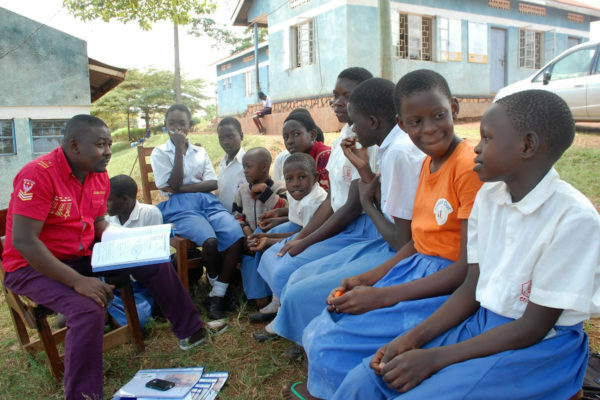 In Uganda, an initiative such as Role Model Men was create to change cultural attitudes toward women in such a patriarchal society. After a decades-long civil war ended in 2006, numerous aid organizations to help the millions of internally displaced persons. Numerous men were disenfranchised after returning to their villages to find them ravaged, and other social problems have continued to persist. Gender-biased violence is common. Reproductive health is scarce. AIDS is a major issue, as is teen pregnancy. CARE recognize how instrumental men can be in the lives of other men, and first piloted a program in July 2010 which eventually became Role Model Men. Today, it is a peer-to-peer mentor network focusing on certain aspects of everyday domestic life such as household chores, how they treat the women in their lives, education, and family planning, women’s economic empowerment, and sexual and reproductive health. 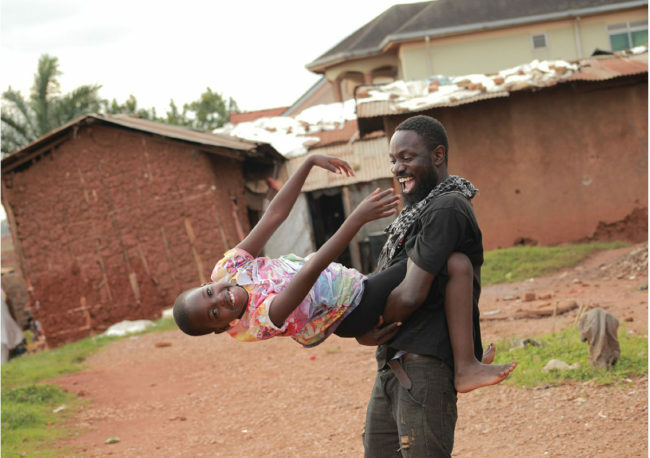 Men like Yafesi Okot, 32, who is from the Gulu district, is subverting the stereotypical image of what a man’s role is in the community. He and his wife have four children, and although he works on a farm for money, he understands how valuable it is to help out at home also. “I do not smoke nor drink. Even when we disagree, we resolve it indoors. I take my children to school and I participate in all activities at home,” he told AllAfrica.com in a profile piece about the program. 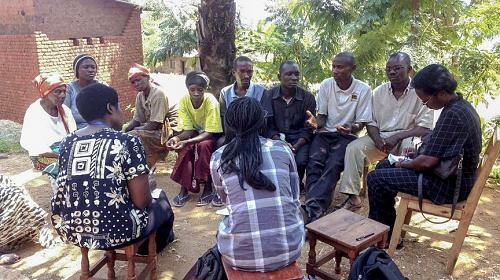 He mentors other men from his village, and educates them about the need to stop gender violence. He is also a member of the local women-initiated Village Saving and Loans Association which encourages women to become business owners and contribute financially to their household. “It started with me because I am not violent. As a result, I have gone to households to encourage fellow men to stop violent acts,” said Yafesi. He is one of 300 men participating in the RMM progrom from Gulu and surrounding districts, with 10 households under his mentorship. There is some hesitation from men in his village, but overall Yafesi is seeing positive results. “Some people are hesitant but others have joined village banks. This also helps more because whenever we meet, fighting violence is one of the topics we discuss…I am proud that men are starting to play some roles in their homes like meeting school requirements and participating in domestic activities like weeding and harvesting and many are joining VSLAs,” he said. Not all the men have completed their education, yet this program empowers them to become valuable contributors to their communities and families. The husbands are able to view themselves as partners along with their wives and the women in their villages in the mission to change the gender status quo. “We work with all men regardless of who they are. 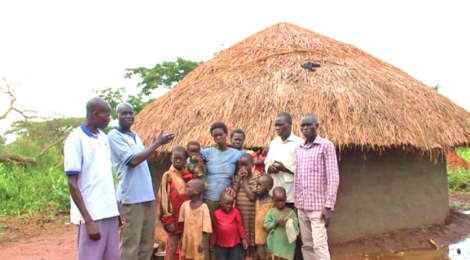 This is the best approach because they see it as practical by way of working together, sharing responsibility and making peaceful families,” said Geoffrey Oyat, a senior program officer at Gulu Women Economic Development and Globalisation (GWED-G). 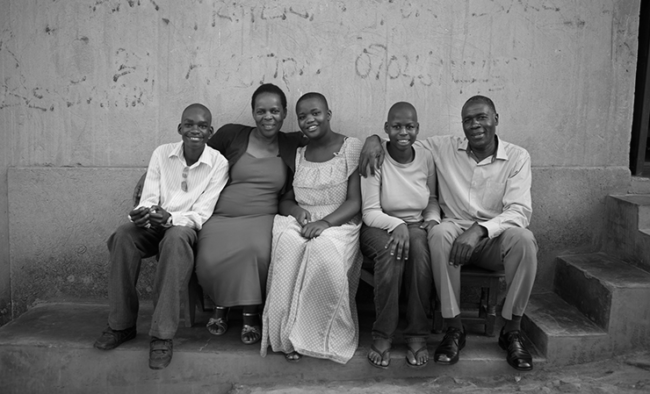 Program directors and facilitators see Role Model Men as part of the greater cultural fght against gender violence in Uganda, especially where local authorities don’t have the capacity to intervene. “After working in communities, we have a multi-sectoral approach in fighting GBV. There is coordination in addressing GBV where the police cannot work alone without support of the other stakeholders. In some places such as Gulu and Amuru, we have supported GBV and Alcohol ordinances,” said Patricia Avako, Care International Uganda coordinator. “It is a score to bring them on board to champion the change process. It also encourages other perpetrators to desist and gives women the support as a fallback position as they seek to overcome the vice given that men are the custodians of culture,” she added. Alcohol, teen pregnancies and land disputes are the biggest drivers in gender violence. An article in Voice Male Magazine about the program shared stories from some more men whose perspectives had fundamentally been changed by this simple, but conscious effort for change. Ojok Mark, 31, was an alcoholic who started a family at a young age, and didn’t see the benefits of family planning resources, or education for that matter. He viewed his wife as “property”, and controlled all the household finances, often to benefit his alcohol problem. It wasn’t until he was invited to a meeting run by the local RMM leader that he realized how much better his life could be, starting with the way he viewed and treated his wife as an equal. “The hardest thing was the alcohol: it took me time to start reducing my level of drinking. It wasn’t easy at first to tell my friends that I drank with, and most times, I would find myself going back to them. But with the effort put out by [my mentor] Oloya Ben, I slowly left the drinking group and even the other woman that I was dating,” he admitted. He even started going to the family planning health center with his wife which educated him on a whole range of health issues. “We agreed together when to have our next child… my children are healthy and have completed their immunizations… My wife has time to participate in other community activities with other women. 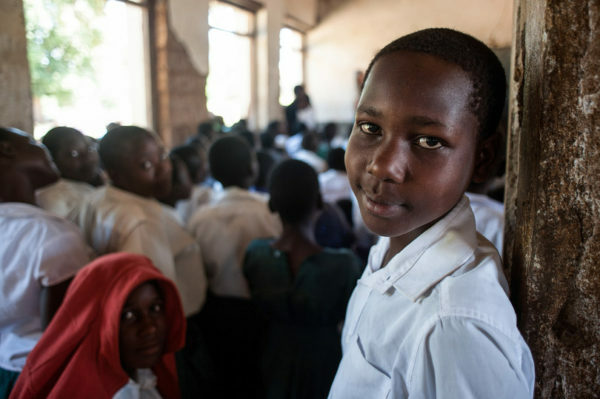 I am able to pay school fees for my children, provide for their basic needs,” he said. Often it is social pressures placed on men to be the sole provider, to be seen as the typical macho figure, and other toxic messages around masculinity, which lead to continued cycles of violence and poverty. “Men who do not conform to gender norms experience discrimination and violence themselves. Men are socialized to not acknowledge pain and to believe that talking about personal problems is a sign of weakness. As a result, men who experience violence rarely discuss their problems with others, contributing to depression and even suicide,” wrote the CARE Uganda team who contributed to the magazine profile story. Naturally, the idea of changing their perspective on women and violence was met with resistance initially as many of the men thought it would lead to negative outcomes, including more poverty. Once they started to see their families thriving, the initiative started growing. “Before he became a Role Model Man, he used to come home very late, but nowadays he comes home early. Every evening he sets a camp fire and has the children sit around it as he tells them stories and teaches them how to live a better life,” said Akello Doreen, a wife of a Role Model Man. “When CARE’s Role Model Men program started, I was chosen because of my background and ability to change. I was trained in understanding the effects of gender-based violence, ways of preventing it and looking at sexual and reproductive health. My life has improved and I am very grateful for that. My family is thriving and my story has been an inspiration for the entire community,” said Charles Olango, one of the program participants. These are the kind of initiatives we need to see more of, globally. It has to start within the family, and wherever possible, with the younger generation. Concerted efforts to help patriarchal cultures and societies evolve their way of thinking toward women, sexuality and poverty will play a major role in preventing gender violence.